Why it matters: ISPs have been promising to launch true 5G wireless networks for years now, but not much has come of it - until now, that is. Verizon today launched its first consumer-focused 5G wifi service today, "5G Home." The service offers users average download speeds of around 300Mbps (with peak speeds of 1Gbps) for $70/month, or $50/month if you're already a Verizon customer. Verizon is making good on its promises to roll out 5G across the US this year. The company opened up pre-orders for its 5G wifi service in September, but now the "5G Home" plan is open to the public. For $70/month, subscribers can enjoy download speeds of "up to" 1GB/s, which averages out to around 300MB/s. If you're already a Verizon customer (if you're signed up for one of their cellular plans, you probably are), the monthly price drops down to $50. 5G Home is only available in a few select cities for now, but it should expand pretty quickly in the coming months. Verizon's current 5G city line-up is Houston, Indianapolis, Los Angeles, and Sacramento. It's worth noting that even within these cities, some areas may not have full coverage right away, as is the case with services like Google Fiber. While I can't speak to the performance of 5G Home just yet, the pricing does seem pretty fair. Currently, I pay around $90 per month for a non-Verizon fiber connection that only nets me 15MB/s download speeds on a good day. 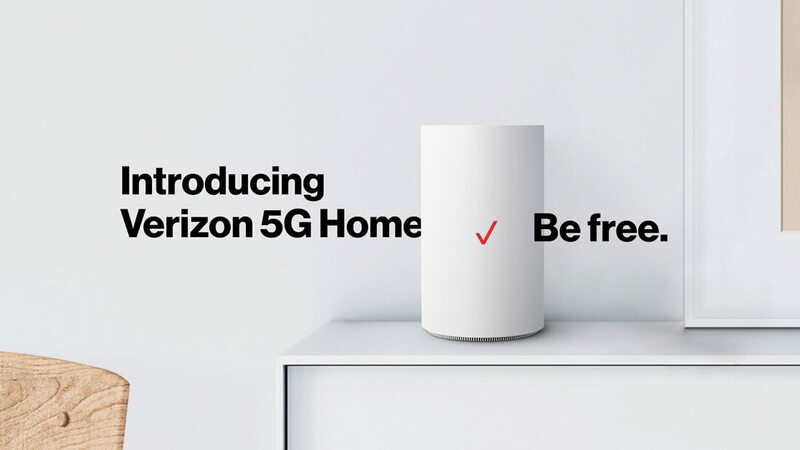 If you sign up for 5G Home, Verizon will install all of the necessary network hardware for you, at no additional cost. The company also promises that there won't be any annual contracts, hidden fees, or equipment charges to worry about. If the promise of speedy internet isn't enough bang for your buck, Verizon is also offering subscribers an Apple TV or Google Chromecast, as well as three months of YouTube TV, for free. Interested in trying out 5G Home for yourself? If you live in one of the previously-mentioned cities, you can check to see if your address is "5G ready" on Verizon's website.